If you've been craving for the pure power and speed of a pocket-sized quadcopter that boasts multiple features, never fear- the incredible Odyssey Genesis is here! 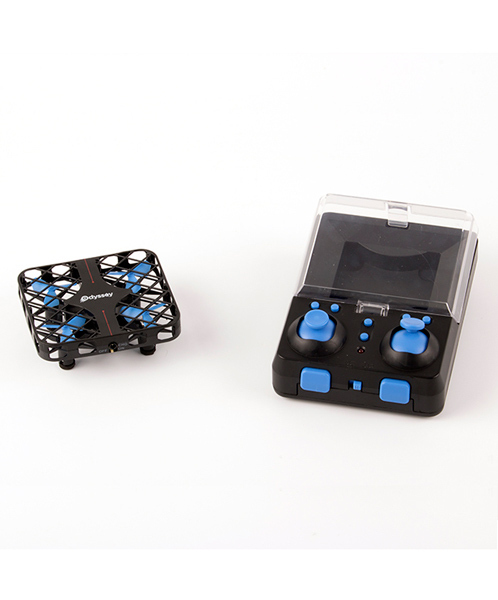 This quadcopter is small enough to fit through the tightest cracks and navigate around the slickest corners. Four propellers keep it well-balanced and gliding through the air for an exhilarating 5 to 7 minutes of airtime.